If you are even remotely aware of the Spanish tradition, you must have heard of the word ‘tauromachy’, which means bull-fighting. ELK Studios have come up with a slot game based on the same theme for you to experience a virtual feel of bull-fighting. Wild Toro slots is very artistically created over a dull town set-up with people walking down the streets of Spain with huts all around. Moreover, you also hear the sounds of the busy streets in the background. Based in Stockholm, Sweden, this developer has been into the industry since 2012. They mainly focus on the mobile casino experience as compared to many other desktop oriented slot makers. They have produced many entertaining titles based on different themes. They are known for their high-end technology and gameplays with which the players can directly relate themselves to. It is a 5 reel, 4 rows slot with 178 paylines to win. With such a huge number of paylines, forming winning combinations is relatively easier. Each bet has 100 coins and there are 12 bet levels. 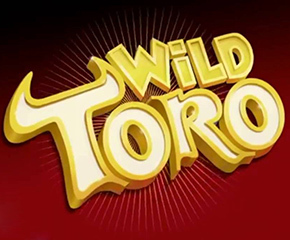 The wild is the ‘Wild Toro’ symbol in bold yellow colour. The scatter is the matador. The walking wild is the bull Toro responsible for hitting the bonus round. The rose, orange and coins are other low-paying symbols. The walking wild only appears on reel 5 to destroy the matadors moving horizontally to the left with a free re-spin at each step during the Toro goes wild bonus round. Toro moves to right too if further matadors appear to the right of the Toro and then again moves left. The round ends when there aren’t any matadors left on the reels and the Toro fixes itself on reel 1. The matador appears only on reels 2, 3 and 4 and triggers 3 re-spins. An additional re-spin is added every time other matadors appear. The previous scatters fix themselves until the Toro appears and the re-spins end. Matador thus becomes a blocker if there is no Toro on the reels. 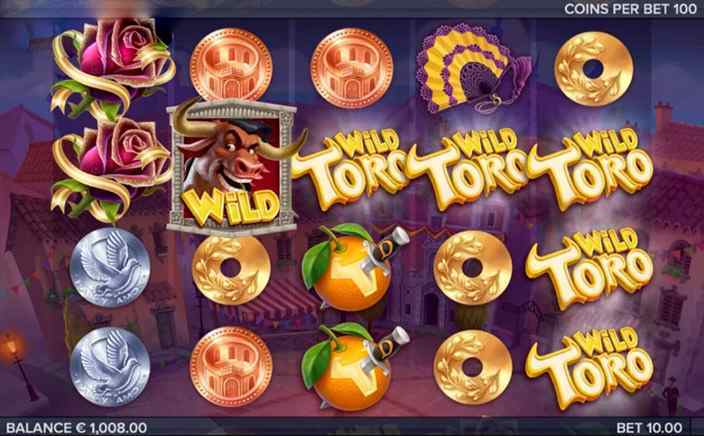 You will really be on your toes during The Toro goes Wild bonus round which is a good one to experience in the slot. The Toro here moves reel by reel left leaving the Wild Toro symbol behind before it makes all matadors disappear. Also, the game has a good RTP of 96.4% which is quite attractive coming from a new developer.